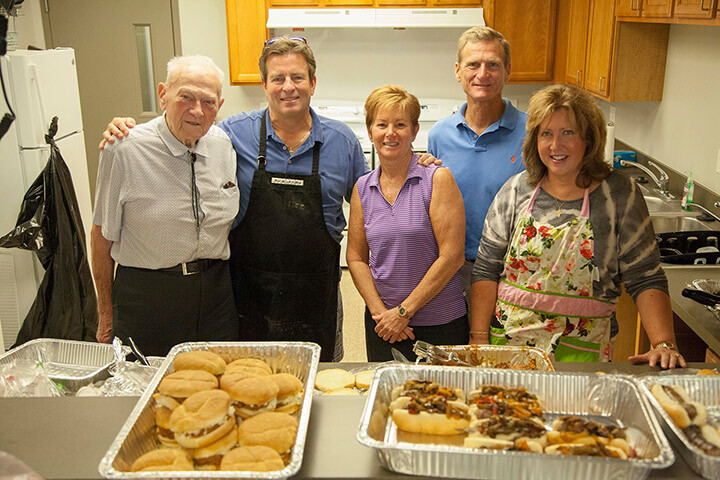 Steve Doman, Ted Wade, Paula Doman, Mark Doman and Ann Doman in the kitchen at Piquette Square. Not pictured are Bill and Ed Doman, who also helped provide lunch to the veterans at Piquette Square. We thank the Doman family for providing a delicious BBQ and fixings lunch to the formerly homeless veterans residing at our Piquette Square!